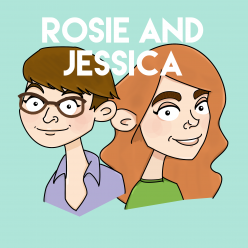 In episode 48, Rosie and Jessica claim to have done nothing, but discuss moving house, going on holiday and marathoning television. And that’s just Rosie. Top 5 returns with their Top 5 Teen Movies, plus Needle and Fed, songs and a Snack of the Day which may just be some cake. This episode appears to be kindly supported by Eliza Dushku. Jessica has blessed us with Nico Stai’s One October Song, while Rosie can’t stop playing Remedy by Little Boots. Rosie visited The Wool Croft in Abergavenny. Rosie and Jessica were inspired by the film Beyond Clueless. We love these Tree Change Dolls makeovers. Jimmy Fallon has brought us both Daniel Radcliffe rapping and Drew Barrymore and Adam Sandler’s decade-long love. Jessica made me do it.